It is a quick, non-invasive procedure used to resurface the skin with aluminum oxide crystals which gently remove the top layer of the skin containing dead skin cells. It then promotes the growth of new skin cells in the basal layer of the dermis. The technique exfoliates and gently resurfaces the skin, promoting the formation of new, smoother, clearer skin. How many microdermabrasion treatments are typically required for my clients to see results? For best results microdermabrasion is usually recommended in a series of sessions. With ClearFX Skin you and your client are able to see instant results after the first treatment. How much will it cost me per treatment to use my ClearFX Microdermabrasion Machine? With most machines the average cost per treatment ranges from $5-$10 with the ClearFX your cost per treatment is only 66 cents. 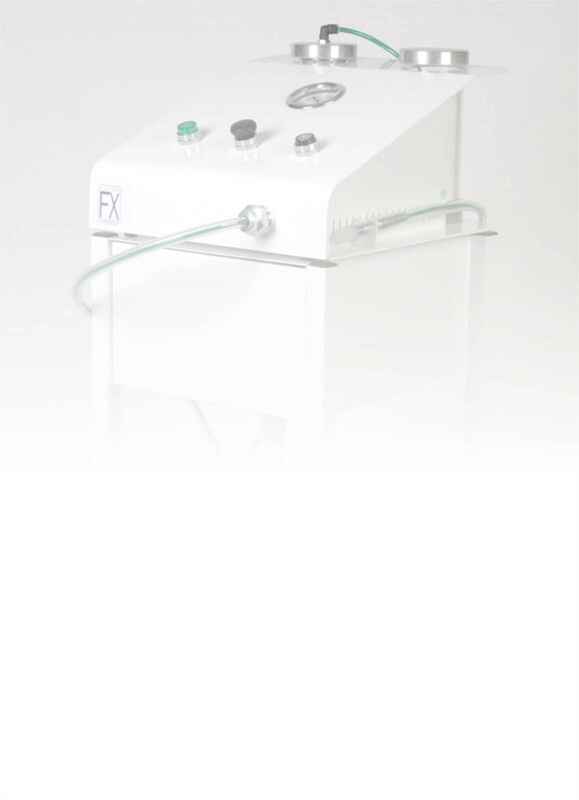 Where is the ClearFX Skin Microdermabrasion Machine manufactured? All of ClearFX equipment is manufactured in the USA. What is the warranty on the ClearFX Skin Microdermabrasion units? Usually microdermabrasion machines come with a 2-5 year warranty. All of the ClearFX Skin machines come with a lifetime warranty and a no clogging guarantee. What are the main conditions that microdermabrasion can treat? Yes! We offer many different financing options that start as low as $200 a month. You are able to buy your machine at the end of your leasing term for only a penny. Do you have a crystal-free microdermabrasion unit? The ClearFX Oxy-Peel system is a non-surgical and natural method of encouraging skin renewal through a crystal-free diamond peel method. This system uses a specially designed wand with a diamond tip that removes unwanted dead cells from the epidermis while stimulating cellular regeneration painlessly and effectively in a controlled manner. Yes. We will send you a list of doctors and estheticians that use our machines in there facility. You can also see our customer reviews here. Is there training provided with the purchase of a ClearFX machine? We will thoroughly train and certify all of your staff . We will also provide you with a training DVD. We are known to have durable and sturdy equipment that rarely has a malfunction. If your machines happens to have any problems you can Contact our 24 hour customer service line and one of our trained technicians can usually resolve the problem right over the phone. If we are unable to resolve the problem over the phone you can ship your machine to our repair department and we will repair your machine the day we receive it and send it out the same day with over night delivery. ClearFX Skin is the only company that provides a free service on your machine every 75 hours (or whenever you feel needed). Crystal deposits only in areas applied will not spray into eyes,mouth or hair. Please watch video demonstration to see how we work around eye area.